Glamping safari, anyone? 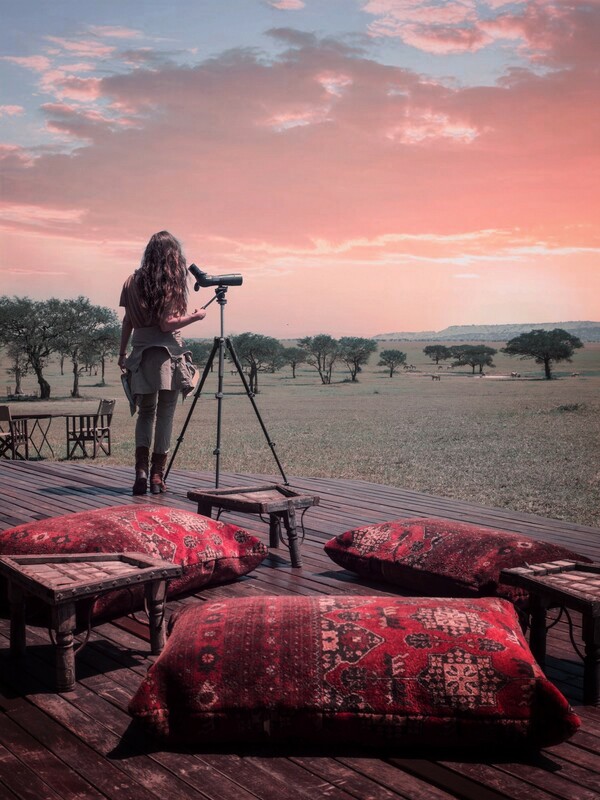 Singita Sabora Tented Camp is a luxury safari camp in the Serengeti that delights with a touch of old-world elegance. “If God were a camper, he would choose Singita Sabora Tented Camp,” says one of the past guests in a review that caught my attention. “Truly heaven on Earth,” says another. When hotel reviews sound like personal little love notes more than anything else, that is a sign of a special place. Singita Sabora Tented Camp is one of those places. Its glamping safari location is in the middle of 350,000 acres of unfenced wild territory. Here, animals wander freely through the 1920s-style camp with all sorts of antique treasures to discover. ‘Glamping’ translates to glamorous camping which is the perfect description of what it’s like to stay at Singita Sabora Tented Camp. There are 9 tented bedrooms or luxury suites in total. Each one is lavishly furnished, air-conditioned and spacious. Guests zip open their tent to find a four-poster bed, sitting area, mini bar, desk, claw footed bathtub and outdoor shower. The decor brings the space to life with Persian rugs, chests, lanterns, brass artifacts and crystal glassware. However, the real thrill is knowing there isn’t much separating the comfort inside from the wildlife outside. 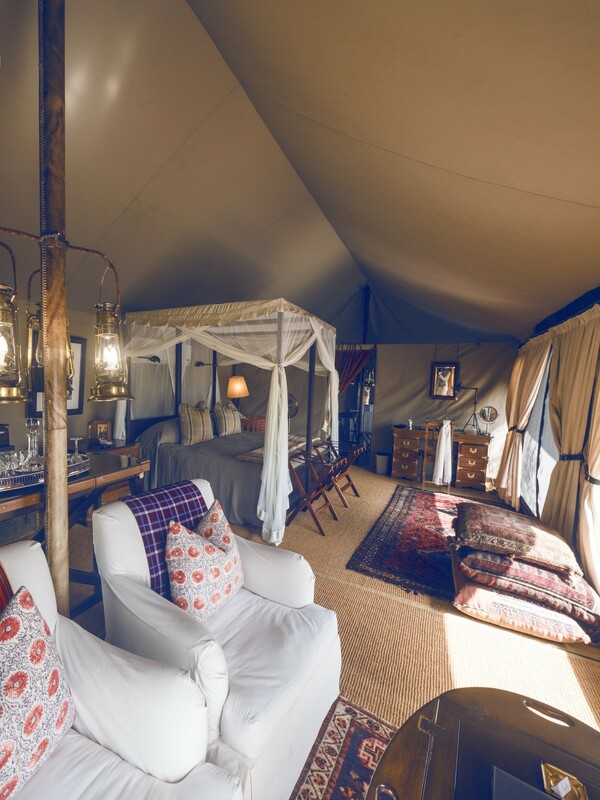 This is a glamping safari in the wild Serengeti. Doesn’t it sound enchanting? 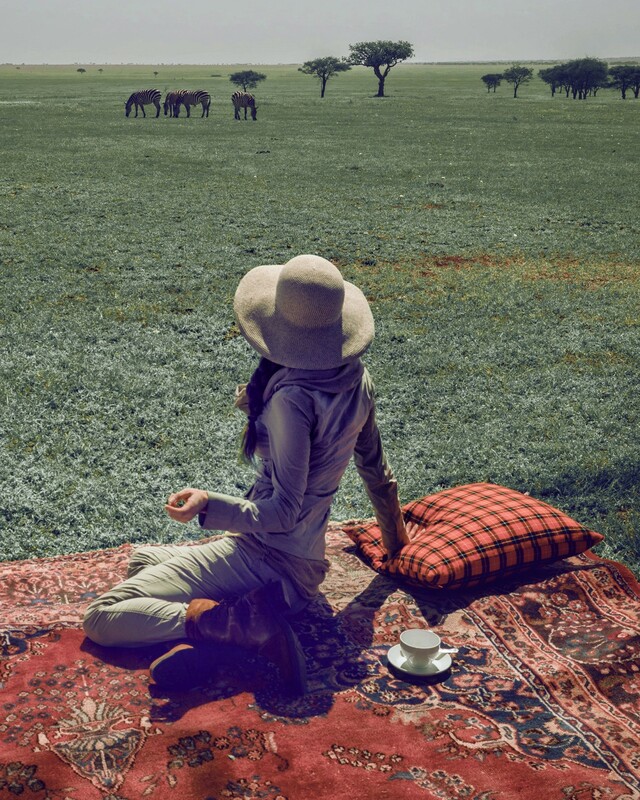 There is something about being surrounded by the open plains of the Serengeti that ignites the soul. No matter where you are in camp, the views of the African landscape just don’t quit. Better yet, zebras regularly wander through the camp on a daily basis. Under the shade of an acacia tree, breakfast and lunch often coincide with their visit and is a real guest highlight. The communal spaces of the camp consist of a separate dining and lounge tent, outdoor viewing deck and a pool. Just like the bedrooms, every square inch of the design evokes the elegance and romance of a bygone era. In fact, the old-world charm is apparent on arrival. 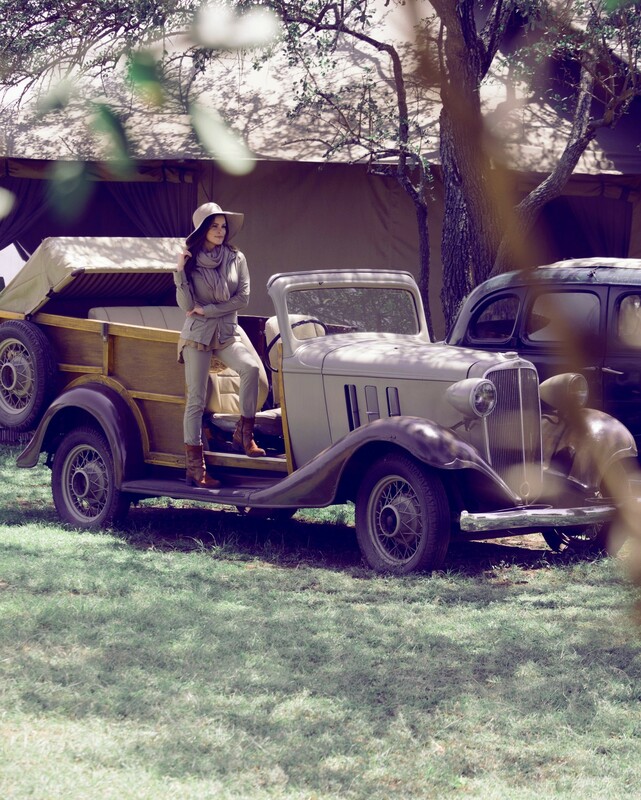 Two vintage cars grace the front of the camp and are the perfect photo backdrop. As if one couldn’t be more smitten by a property, Singita Sabora also has a fully equipped gym, spa and tennis court. 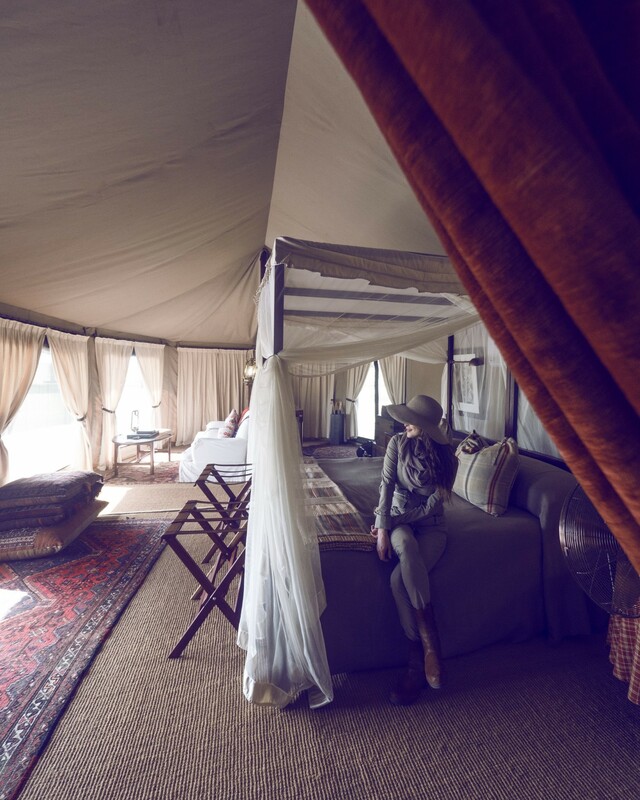 Talk about the luxurious perks of a glamping safari! The camp is in the heart of the game-rich Grumeti Reserve, spanning an area almost the size of Kenya’s Maasai Mara. Singita manages the reserve and it is a strictly private concession. 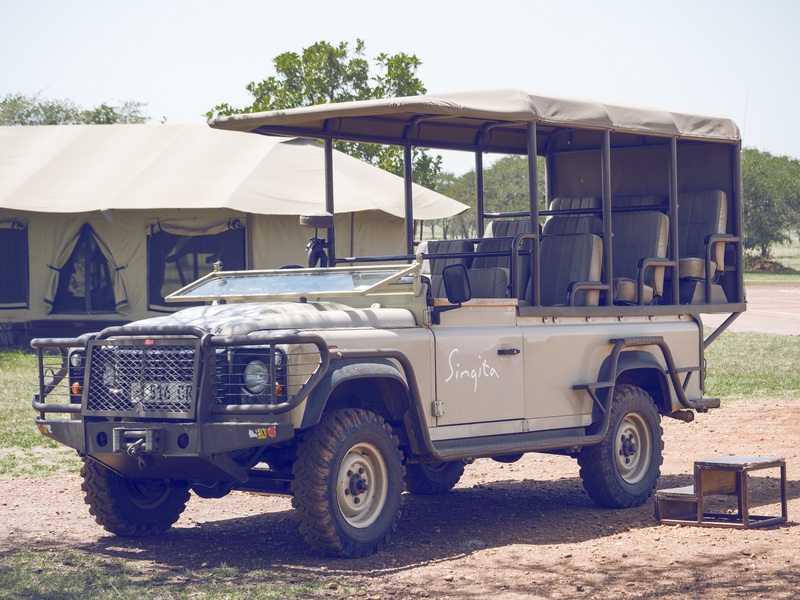 This means it is only available to Singita guests, which makes a massive difference to the overall safari experience. Additionally, there are no restrictions for going off-road. Because of this, we were able to get closer to wildlife than ever before. Ostriches, lions, cheetahs, leopard…you name it. 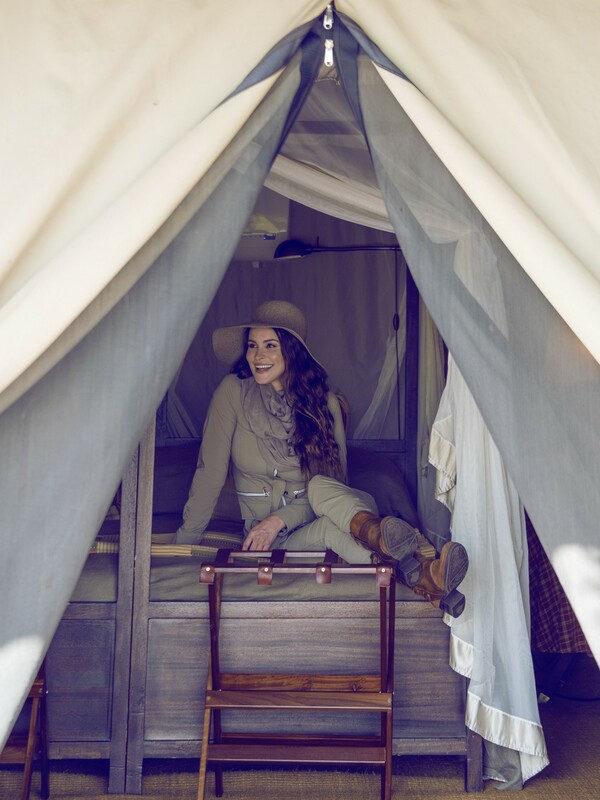 What’s included in your glamping safari? 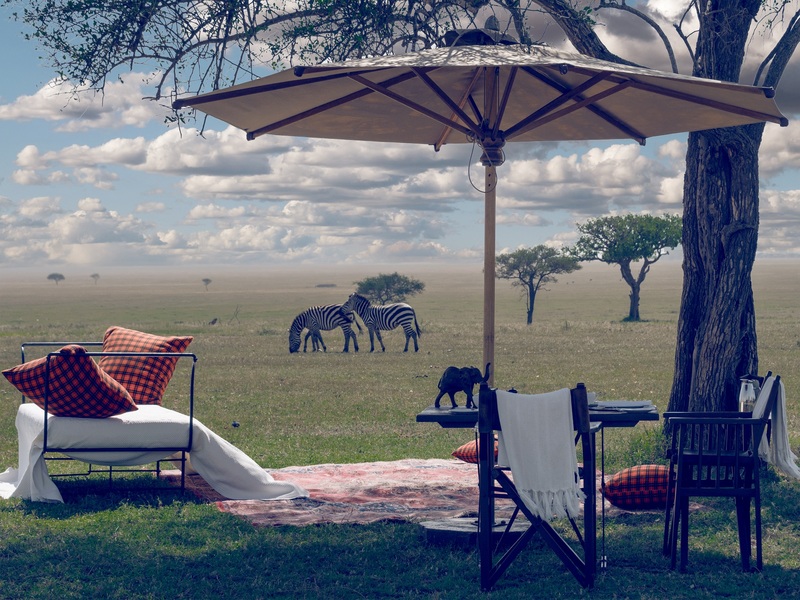 Singita Sabora Tented Camp is a glamping safari steeped in character with a deep connection to the wilderness. It’s hard not to get lost in the timeless luxury where every piece of furniture tells a story. So relax and enjoy, because there is no sacrificing comfort to get closer to nature. Insider tip: I recommend pairing 2 nights at Sabora with an overnight stay at their sister-property, Singita Faru Faru Lodge. Both define what a high-end should look and feel like in their own style. 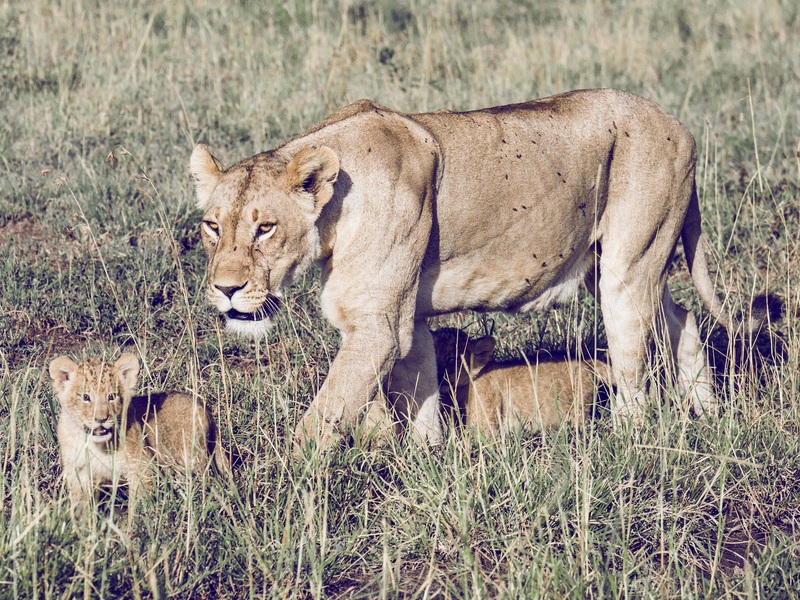 My 12-day Tanzania itinerary was set up by Roar Africa; my go-to African travel specialist. Planning a trip to Africa can be an daunting task, which is why I recommend going through an agent. I can’t begin to express how well-organized my trip was thanks to their team. Looking for a bush and beach combo? Check out my review of Zanzibar’s Mnemba Island Lodge.